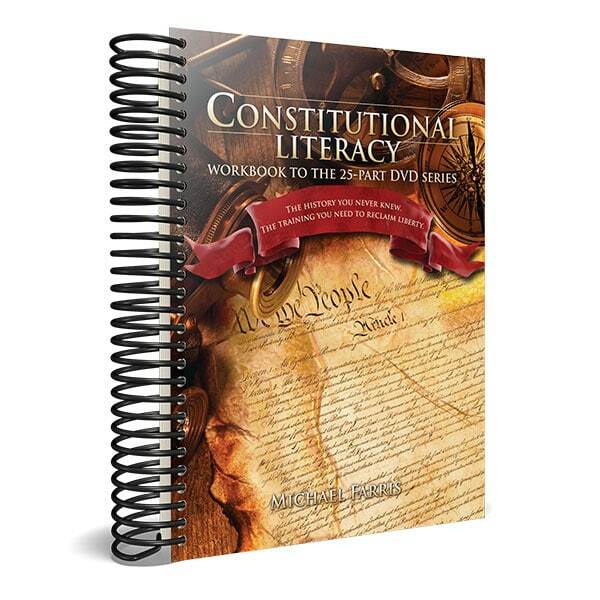 In this important high-school-level course, Dr. Michael Farris, founder and chancellor of Patrick Henry College and chairman of the Home School Legal Defense Association, brings the U.S. Constitution to life for modern Americans by examining these questions: What does the Constitution actually say? What does it mean? What were the Founders’ intentions for this document? And how is it being interpreted to shape our laws and way of life today? This may be the most important course your student (and future voter) takes this year. In the United States, loyalty is not a matter of allegiance to a ruler, a flag, or even to our homeland. Loyalty is measured by faithfulness to the Constitution of the United States. The Constitution was formed by the Founding Fathers by the authority of the people, and it was expected that “We the People” would be vigilant to vote out of office those leaders who fail in their sworn duty to preserve, protect, and defend the Constitution. Yet for years, Americans have remained silent as the federal government takes more and more power for itself while encroaching on the freedoms of citizens. This high-quality spiral-bound workbook is the companion curriculum to the acclaimed DVD series. The workbook contains lesson plans, vocabulary, additional instruction, study questions, and writing assignments.